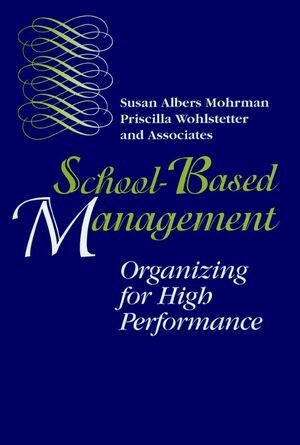 Mohrman and Wohlstetter have written the most important volume onschool-based management to date... a significant contribution tothe school reform literature. SUSAN ALBERS MOHRMAN is Senior Research Scientist at the Center for Effective Organizations in the Graduate School of Business at the University of Southern California. PRISCILLA WOHLSTETTER is associate professor of politics and policy in the School of Education at the University of Southern California. She also serves as a senior research fellow with the Consortium for Policy Research in Education and directs CPRE's Study of School-Based Management, upon which this book is based.